'The story of an ordinary man who discovers he's not so ordinary. Pascoe is one of our finest writers.' Ray Lawrence Jim Bloke's your typical Aussie, sort of. Being an orphan he's done it tough in the past, but he knows how to take care of himself and he has an affinity with life's important things. So when he takes a job as a sea-urchin diver on a stretch of coastal paradise, he's right at home with the morwong, pearl perch and butterfish. He's less at home with the people apart from the woman who works as his deckhand since the industry's crookeder than your average banker. And because Bloke's already done a season in the big gym, he makes a perfect fall guy when things go wrong. That sends him running again, by a roundabout way into the arms of his real family. But Jim's not sure that's where he wants to be. He wants love and that's hard, he wants his identity and that's even harder. 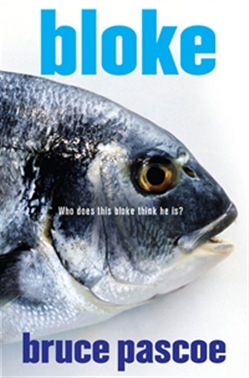 Bloke is an achingly funny novel about coming to terms with who you are, where you belong, who you love. Jim has a weakness for women that leads him into trouble, and then to salvation. Acquista Bloke in Epub: dopo aver letto l’ebook Bloke di Bruce Pascoe ti invitiamo a lasciarci una Recensione qui sotto: sarà utile agli utenti che non abbiano ancora letto questo libro e che vogliano avere delle opinioni altrui. L’opinione su di un libro è molto soggettiva e per questo leggere eventuali recensioni negative non ci dovrà frenare dall’acquisto, anzi dovrà spingerci ad acquistare il libro in fretta per poter dire la nostra ed eventualmente smentire quanto commentato da altri, contribuendo ad arricchire più possibile i commenti e dare sempre più spunti di confronto al pubblico online.